The 2017 Penfolds Collection has just been released. I’ve tried the wines, and thought they were great, but to quote James Halliday, someone who knows a thing or two about these things, they are “Exceptional”. I’d have to agree. Penfolds g3 : image supplied. One wine that stood out was a wine we could not talk about till the other day, the Penfolds g3, a blend of a blend. I also agree with Huon Hooke’s review when he wrote, “The wine was aged for an extra period of time in oak after the blending, which could explain the astonishing concentration and sublime texture of this wine. As Peter Gago commented, a graphic example of the idea that a successful blend produces something greater than the sum of the individual parts”. The 2012 Grange is in the blend. I know this wine very well as I spent a year documenting its birth when working on the ‘A year in the life of Grange’ book with Philip White. During 2012, I observed how highly Penfolds is regarded in the international world of Fine Wine and how hard Peter Gago works to keep Penfolds and the rest of the Australian wine trade there. At its Hong Kong Launch this week Peter said, “Put simply, it’s Grange’s ‘House Style distilled’ … Penfolds g3 is a natural end-result of the venerated art of blending. Here’s a link to an interview I did with Peter where he puts the Grange story into his own words. Peter’s story of Grange interview. Now 66 years on from its first commercial release in 1952, we have a new chapter in the Grange story. 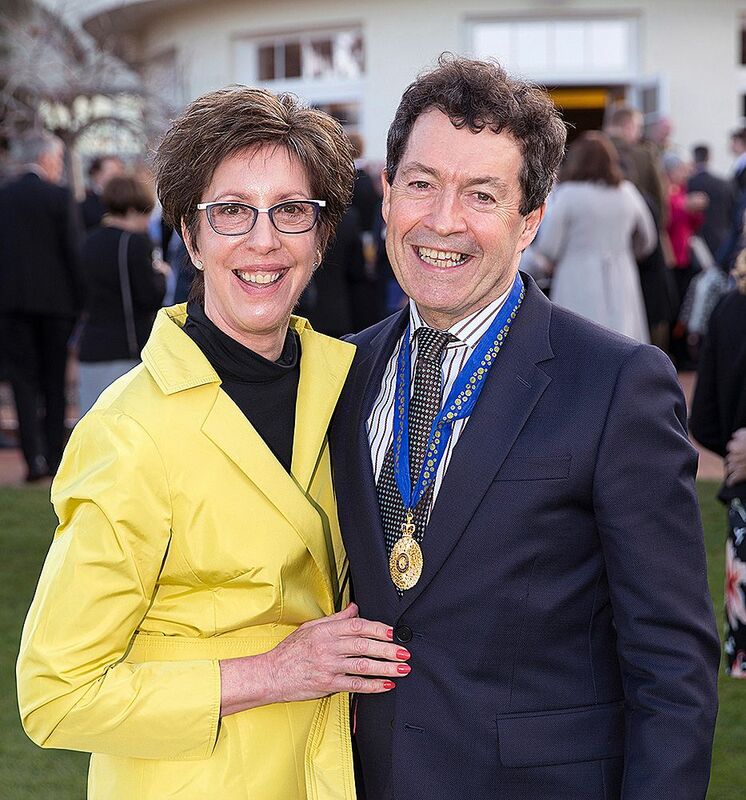 Earlier this year Peter was recognised for his service to the Australian Wine Industry with his appointment as a Companion of The Order of Australia (AC) in the Queen’s Birthday Honours List. It’s been a busy year for Mr Gago, but he found time before he left for the Hong Kong launch to answer a few questions on Penfolds g3. When did you get the idea for Penfolds g3 ? Since 1844 blending across vintages has been a key driver of Penfolds’ fortified winemaking philosophy. 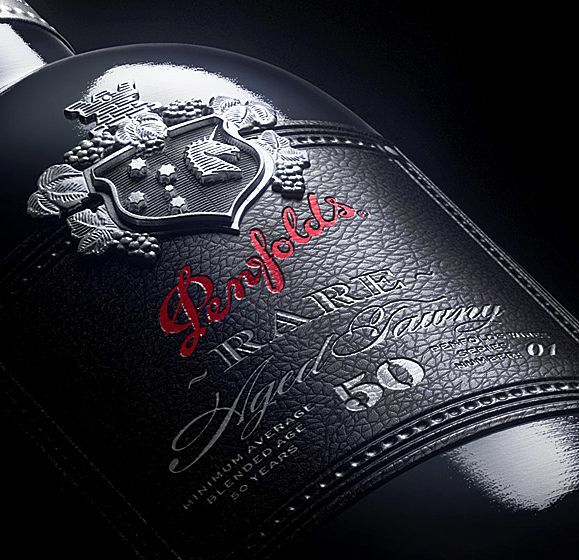 Penfolds’ Liqueur Tawny styles continue a long tradition that celebrates solera blending. 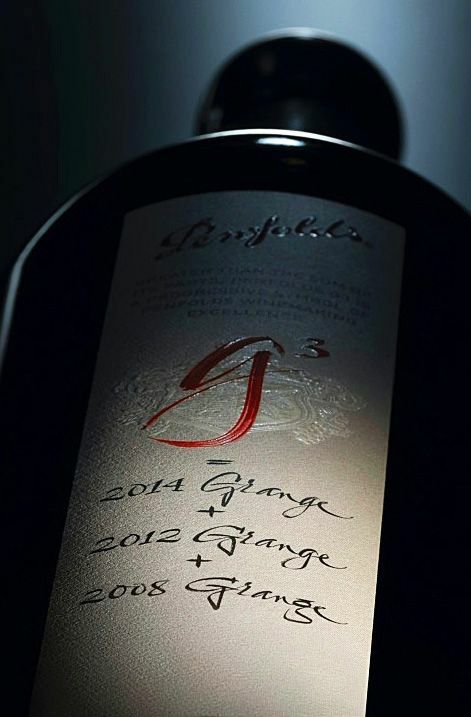 Penfolds g3 is a natural progression, applying this technique to create a lateral off-shoot to Grange. A blend of blends … In essence, quite a simple concept, and real. An idea lurking for some time, yet only realised a few years back. Which vintages did you choose for the blend ? Each vintage component selected to make this wine brings something different to the final blend. Broadly : Grange 2008 is a big bold wine, Grange 2012 is about (relative) ‘elegance’ and sophistication, while 2014 is a young wine that serves to ‘freshen up the blend’. 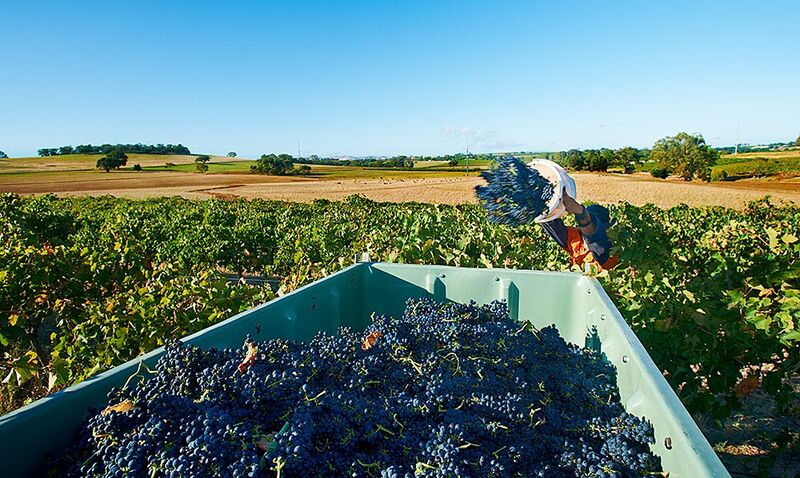 Picking in Neldner’s Contour Block Number 5, Marananga, Barossa Valley during the 2012 harvest : Photo © Milton Wordley. The 2014 vintage not to be released until October 2018, making it even more of an evocative beyond-reach inclusion. How did you put the Penfolds ‘g3′ blend together ? At the time of blending the 2012 Grange component was retained in barrel (post-bottling of the balance). The 2014 Grange – the easy one. 2008 Grange, the ‘Reserve Wine’, to use a Champagne parlance, was decanted out of 750ml bottles. The blend was then matured for over a year in current Grange-use barrels. Grange barrels in Magill Cellar 2 : Photo © Milton Wordley. So, at the time of release, impossible to replicate ‘at home’ – with the bottled 2014 Grange still a year distant from release next October 2018. And, of course, even if the %’s were revealed, Penfolds g3 has matured as a blend – not retained/matured in component form. 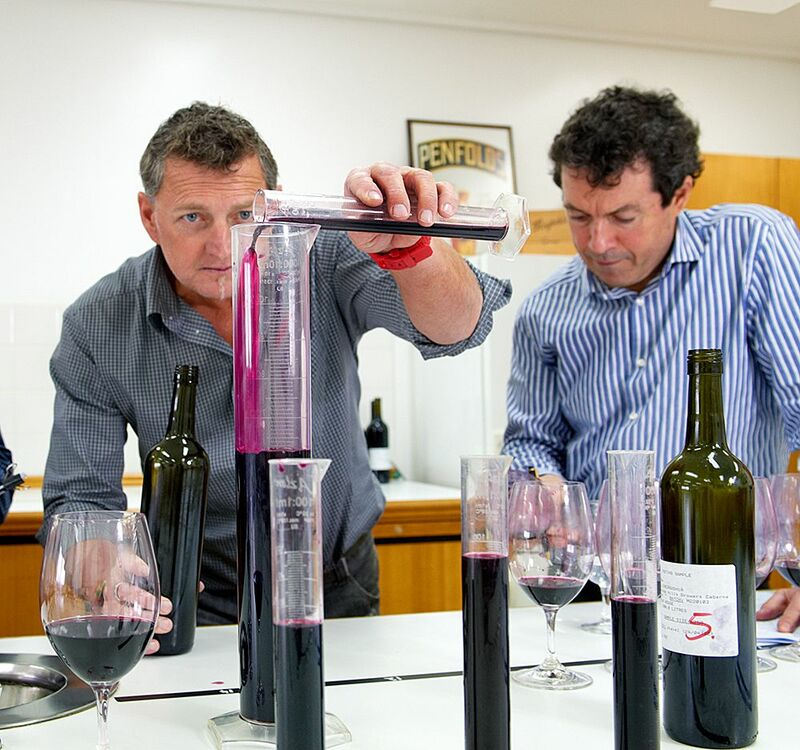 Andrew Baldwin and Peter Gago blending in the Nuriootpa winemakers lab : Photo © Milton Wordley. I believe a couple of other International wine labels do something similar. Is this the ultimate in wine blending ? Other wine styles, many Champagnes and fortifieds blend across vintage. Rarely table wines. Vega Sicilia’s Reserva Especiale the famous Spanish wine is one example. Ultimate in wine blending? Not really, just a different concept … a touch more difficult/expensive to execute. Was it like Max Schubert in 1951, or did management know what you and the winemaking team were up to ? How did it feel to be appointed a Companion of the Order of Australia ? Peter and his wife Gail at Govermnent House after his Companion of Australia award. Image supplied. It was a great honour. The AC award reflects where wine now sits in Australia. It’s saying that from a wine perspective it’s up there with sport, with theatre, with industry and with politics. It’s acknowledging our culture of wine. Outside of vintage time I probably spend about half my time promoting our wines on the world stage. Maybe it’s more about what I’ve done outside the country than what I’ve done here at home ? The release of g3 will be controversial. 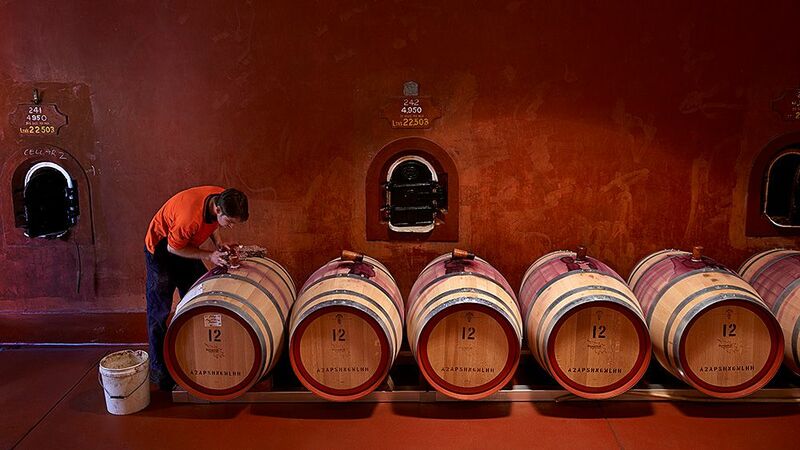 Oh, and did we mention the new-release 2013 Grange… ? Peter on stage before over 800 wine lovers at The Wine Spectator’s ‘New World Wine Experience’ tasting in Los Angeles : Photo © Milton Wordley. 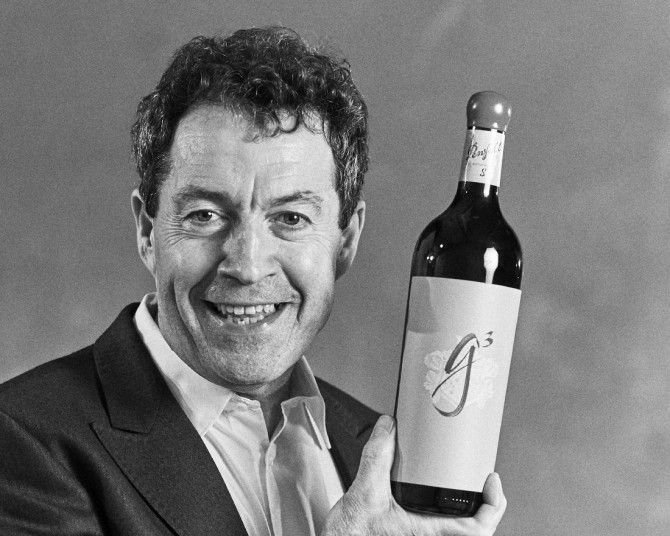 Peter Gago’s life in wine is much more than Grange and Penfolds g3, here’s some further reading. > Named as Winemakers’ Winemaker in 2012 : The Institute of Masters of Wine. 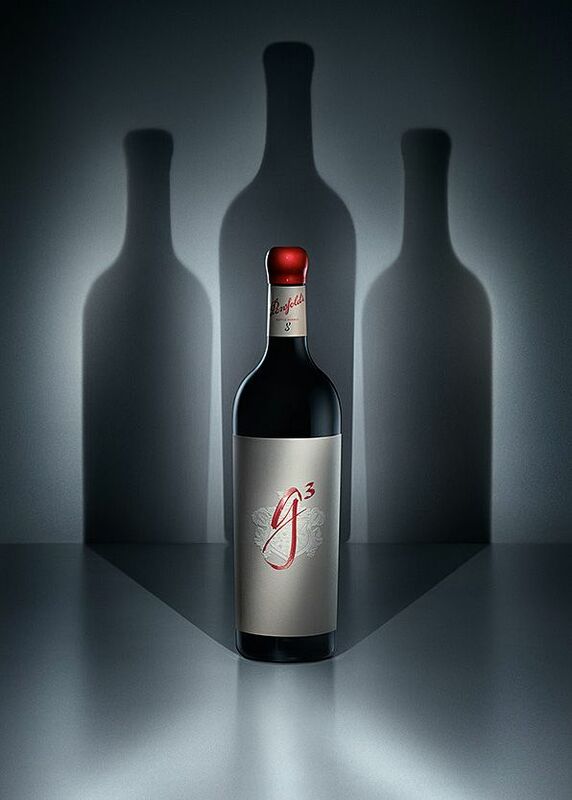 The g3 : image supplied by Penfolds.